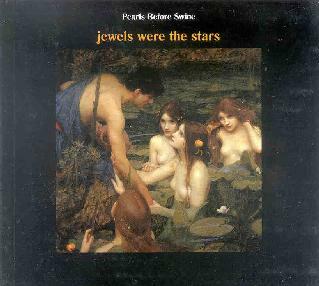 Pearls Before Swine - "Jewels Were The Stars"
This box set consists of Pearls Before Swine releases 3-6. Pearls Before Swine is primarily Tom Rapp on vocals and acoustic guitar and Elizabeth on vocals. They are augmented by a variety of studio musicians. Apparently, the first 2 albums (One Nation Underground & Balaklava) have a very acid inspired sound: spacey and mystical. I have not heard them so I can’t comment. The 4 albums in this box set definitely have a spacey and mystical vibe to them. Unfortunately, they are vocal oriented and all rather short in length (4 minutes or less). Also included is a 48 page booklet consisting of: “Lost on Mobius Street” an essay by Mitch Meyers; an interview with Tom Rapp conducted by Damon Krukowski and Masaki Batoh; an interview with Elizabeth conducted by Byron Coley; album information for the 4 cd’s; a variety of photos covering the history of Pearls Before Swine. I would recommend this box set to fans of Tom Rapp. It’s a nice package and the booklet is very interesting and informative. For more information you can visit the Runt web site at: http://www.buyrunt.com. Contact via snail mail c/o Run LLC; PO Box 2947; San Francisco, CA 94126.